Please select a date of play to check availability on Vale da Pinta. Vale da Pinta is a well laid out and interesting course. Set in a truly Algarve landscape with almond, olive and carob trees decorating the course that rolls through small valleys and hills. Some of the olive trees are reputed to be in the region of 1,500 years old. Two holes of the Pinta Course that deserve special mention are the par 3 tenth and the par 5 thirteenth. The former has a large bunker defending the green against your shot, the latter, winds through a valley for 541 metres. Great course. In super condition. Rental clubs were excellent. Very enjoyable day out. Buggy is a must as it's quite hilly but very pituresque. Could not fault this course. In excellent condition staff very helpful and friendly. We had a great day with no holdups. Would highly recommend. I really enjoyed the challenge of the course, but what ruined this round for me was two groups of three friends in front of myself (two ball) they were really slow and we were having to wait at least 10 minutes on each tee. I could not fault the staff at the course who were really good and very polite and accommodating. the round took 5 hours to complete. I am unsure if I would go back to this course. Fun little course, worth a try!! 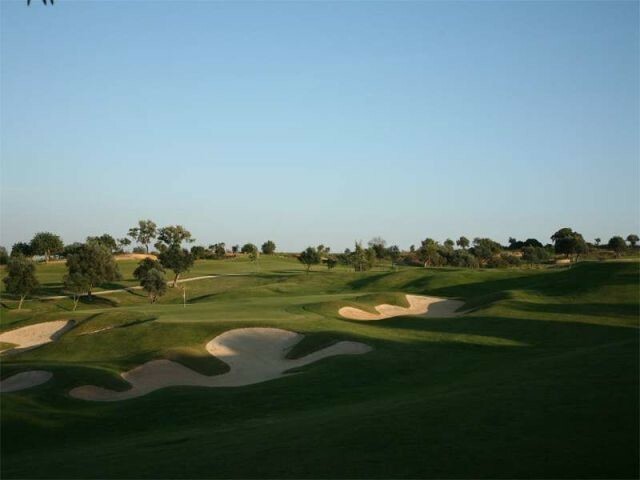 Good fun course, first time I have played vale da pinta and you will need a course planner to navigate around, 90% or so are doglegs which do not require a driver. If you do take a driver your left with 30-100yards pitches. Greens were running okay nothing special but overall happy especially as it's very cheap. (Handicap 1). 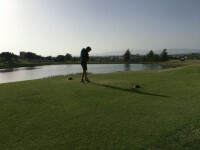 To post a review, score or a notice on Vale da Pinta page's or to connect with other Vale da Pinta golfers, please log in to your account or sign up using Google or Facebook.